Singapore, on the cusp of Independence. In the midst of fear and uncertainty, a young woman is forced to choose between an education and single motherhood. Ani’s dreams of becoming a teacher are shattered when she is forcibly married. Employed as a servant at Rain Tree, a colonial home, she indulges in English novels in her spare time. Widowed soon after, Ani befriends her Chinese colleagues, who try and protect her from her bigoted mistress. She learns that her husband has left her a horrifying debt, yet she must keep it a secret to protect her job and dignity. Falling in love with a house guest brings temporary respite, until she bears his child after he returns to England. To keep her baby, Ani must leave the security of Rain Tree. With chronic unemployment, a housing shortage and impending Independence, Ani realises that without an education, her life will be unbearable. With an illegitimate baby, life will be impossible. To change her destiny, sacrifices must be made. But at what price? 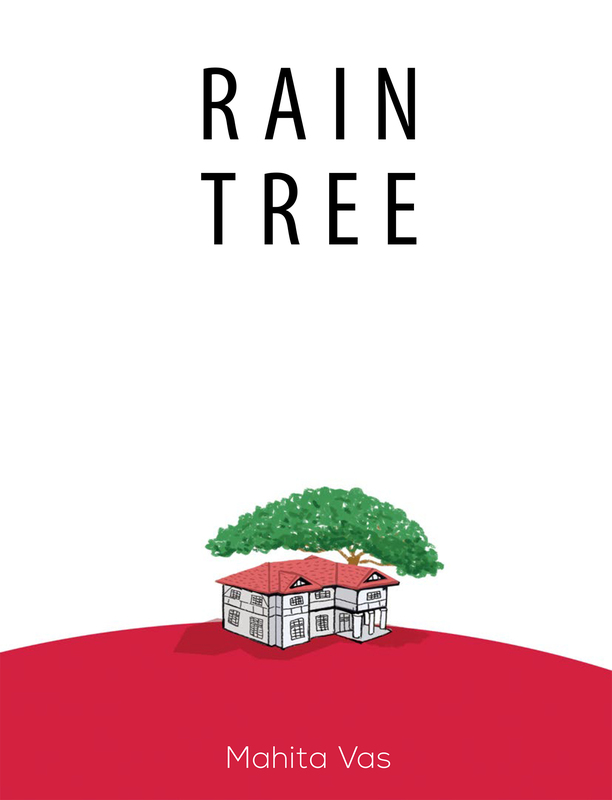 RAIN TREE weaves a story of loyalty and hope with lessons on love unlike what Ani has learnt from English novels. Hailing from Singapore, Mahita Vas was raised like many other Singaporean children with working parents – with the help of domestic workers. She takes a keen interest in migrant worker issues and supports campaigns for better treatment of foreign workers in Singapore. After nearly 30 years of working in advertising and the hospitality industry in Singapore, Mahita wrote a memoir, Praying to the Goddess of Mercy, A Memoir of Mood Swings. Published in 2012, the book has raised the level of awareness for mental illness in a country where people still believe mania is caused by demon possession. Mahita now spends her time on mental health advocacy and pursuing personal interests including reading and writing. She is married and has twin daughters in their mid-twenties. Rain Tree, her first novel, was initially published by Math Paper Press and launched in late 2016 at the Singapore Writers Festival.